A syndicate of 14 staff from a Highland engineering firm yesterday celebrated winning almost £100,000 on EuroMillions. 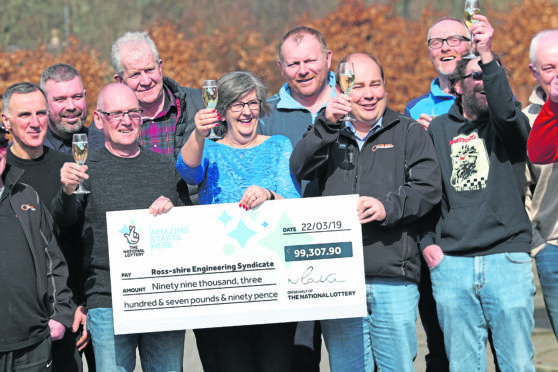 The workers from Ross-shire Engineering, based in Muir of Ord, popped open the champagne to mark their massive £99,307 win. The syndicate, who have been buying tickets each week for the last 15 years, were over the moon to be taking home more than £7,000 each. Purchasing clerk Eileen Logan, 59, who takes charge of putting on the weekly tickets, said: “I was dumbstruck when I found out – which is not normal for me. “We’ve had our syndicate since about 2004 and I normally pop to our local Co-op every Thursday to check tickets and put new ones on. “My most recent visit was really unexpected, especially when the shop assistant handed me back our winning ticket saying it was too big to pay out. She added: “The guys were all so excited when I told them and everyone is very happy for us. The syndicate members have won small amounts over the years, but this has been their biggest win yet – and they have already put on this week’s numbers. They are already discussing what they would like to spend their money on, with exotic holidays and possibly a new motorbike, for one of the syndicate members, on the cards. 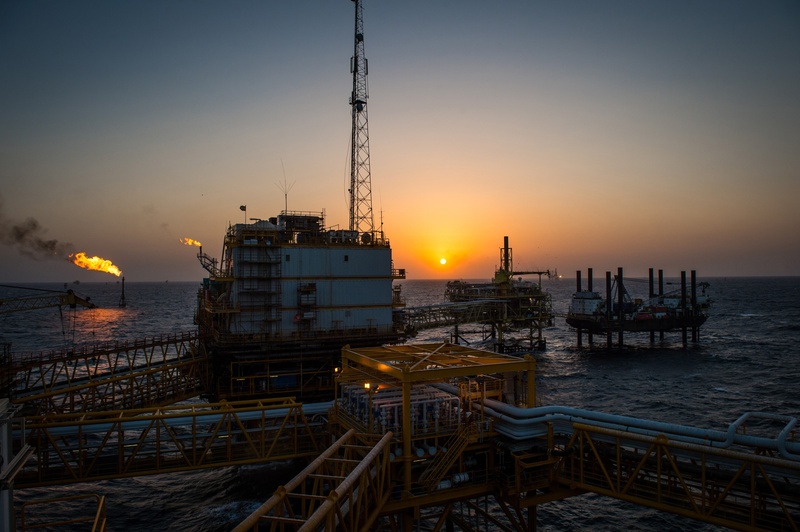 Andrew MacDonald, 58, of Alness, said: “I was working in Westray, Orkney, when I found out. I can’t remember eating my dinner after that, it was such a shock. But the first thing the lucky winners spent their money on was a celebratory drink together at their local, the Ord Arms. Ian Beaton, 58, Duncan Maclennan, 60, William MacPherson, 44, William Morrison, 57, George MacLeman, 65, Ian Ross, 59, John Bisset, 47, Jack Shepherd, 57, Andrew MacDonald, 58, and Douglas Kelly, 73. The syndicate bought their winning EuroMillions ticket from the Co-op store on Great North Road in Muir of Ord. The winning numbers for the draw on March 22 were 4, 17, 26, 30, 43 and Lucky Star number 6.